Are you limiting your own weight training & fitness progress? NJ Fitness Pros can help! Compound movements are any exercise that use multiple muscles and joints in order to perform. Ie: bench-press and deadlift. Isolation movements are target exercises that focus on one muscle group. Ie: triceps, biceps, and abdominals. To see the most success, you need to build a strong muscular foundation and the most effective way to accomplish this, is through compound exercise. These exercises allow you to target multiple muscle groups and utilize heavier weights. Compound exercises require the body to expend more energy and burn more calories, so it is the ideal choice when trying to reach a fitness goal. 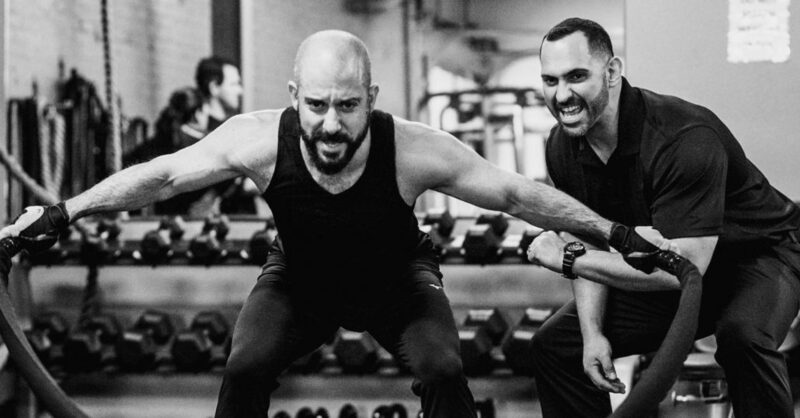 Contact us for a fitness evaluation and to get connected with a personal trainer that is right for you! https://njfitnesspros.com/wp-content/uploads/2019/02/george_training_anthony.jpg 1150 2200 NJFitnessPros https://njfitnesspros.com/wp-content/uploads/2018/05/logo_001.png NJFitnessPros2019-04-05 13:01:042019-04-05 13:01:04Compound vs Isolation Exercise: What is the most effective for reaching your fitness goals?